Sleaford & Ripon is a constituency in county of North Yorkshire. The seat was created in 1983. The current member of parliament is the Conservative Party’s Julian Smith who has represented the constituents since 2010. Andy was born in Urmston near Manchester and is 63 years old. He was brought up in Cheshire and supports Crewe Alexandra football club. He holds a degree in Sociology and Politics, a Master’s Degree and a teaching qualification. He is now retired, having worked as a teacher in inner city London colleges and moved up to Yorkshire to become Head of Faculty of Business at Keighley College. Thanks to his work on transforming the quality of that college Andy became Deputy Principal there and then the Director of Hillsborough College in Sheffield. This means that he has experience of running a service for 2,000 full time students and over 10,000 part time students. His success in this role led to his becoming Executive Director of the Learning and Skills Council in the Black Country and then Director of Young People’s Learning for Yorkshire and the Humber and Director of Academies for the whole of the north of England. 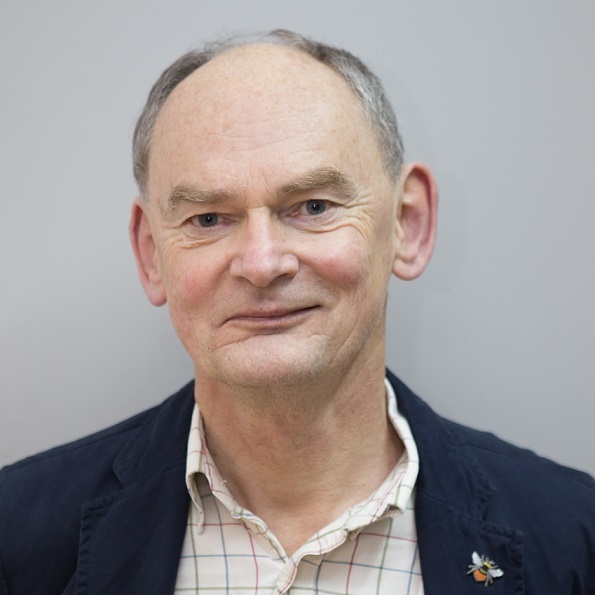 He has lived in the village of Cononley near Skipton for the past 20 years and writes regularly for the Yorkshire Post on rural issues and has also written on educational issues for the Independent, the Guardian and the Times Educational Supplement. He is married with one son, a step daughter and two grandchildren. 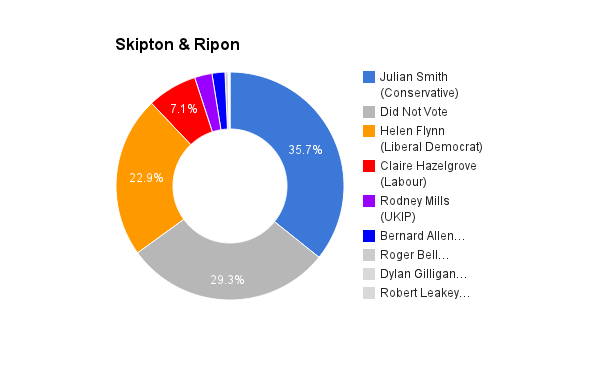 He is prospective parliamentary candidate for the Green Party in the Parliamentary constituency of Skipton and Ripon for the 2015 General Election. I like to engage with people who hold different views from me and to find out what makes them think the way they do. This challenges and sharpens your understanding of what is really bothering people. I use social media such as Facebook and Twitter but my main reliance is on having lived for 20 years in the constituency I am aiming to serve. Because the Green Party is honest about the need to defend the welfare state and accepts that this is likely to mean higher progressive taxation. The Greens opposed two bad wars at the time when this was very unpopular. Above all we are the only party that is being responsible in facing up to the environmental challenges we face. If we don’t act on these now then it will cost our children a lot more later. To be fair he has been very active at visiting and attending constituency events. No. We haven’t done anything serious to address the original cause of a severe banking crisis. We are at risk of a further economic crisis because nothing has been done to properly establish international control over a world economy. The UK still has a record 5.5% GNP deficit on its balance of payments. We are promised a further £30bn of cuts and growth of 2.5% a year. This doesn’t add up. The only reason we have growth is £375bn of quantitative easing. The money was pumped into the banks not used for long term investment to restructure the economy. We need sustainable immigration levels. Without immigration we would have an increasingly elderly population with no one to look after them. In my area the reason schools are over subscribed, doctors are struggling to provide appointment and there is no affordable housing has nothing to do with immigration and everything to do with a lack of finance and bad policy choices such as wasting money on free schools in the wrong places and removing meaningful planning restrictions so that the wrong type of houses are built in the wrong places. By investment in a sustainable economy. We need a highly trained workforce that needs to consume less from abroad. High tuition fees do not encourage a highly skilled economy and without this we will not be able to compete and pay decent wages. Investment in reducing energy consumption and in producing energy efficient technology is vital both to ensure the economic model is stable in the long term and to prepare our industry to successfully adapt to the inevitable low energy future. We can wait for others to take advantage of future technology or we can invest 1% of GNP in science and lead the world in making the necessary transition. We also need to properly regulatory control over those who exploit the poor. Zero hours contracts and pay day style loan sharks need to be immediately banned. An end to top down re-organisation would be an excellent start. The professionals in the service are finding it difficult to focus on doing their job because they are constantly being checked, monitored and told to re-organise in line with the latest fashion. The second major need is proper funding. We need to be honest that higher progressive taxes are going to be needed to pay for the level of service we want to be available. We can save money by getting rid of time wasting external contracting and not issuing any more expensive PFI contracts. Privatisation only adds to the costs. Finally we need to integrate care with health and this requires a serious re-think of the level of funding we are prepared to afford on care. We need to avoid another crash by properly controlling financial movements. Austerity combined with zero hours contracts ensures that young people struggle to enter the employment market with any degree of regularity. The jobs need to be made available via governments conducting a co-ordinated expansion during times of recession rather than making the recession worse with cuts. Training is critical to ensuring our young people are able totake up the jobs that are available. Serious investment in apprenticeship opportunities for young people would be my first target. However much you try you cannot fully understand and articulate the experiences of people different to you. It is incredible that I feel the need to say that I went to a state school and that this is somehow unusual for a candidate. The Green Party has a policy of searching for a woman candidate whenever there is an all male shortlist and this has worked to get us a high level of female representation. I do not favour positive selection of BME or LGBT candidates but I do like the idea of making sure the chance to be interviewed is there. In other spheres of life the simple act of letting an interview panel see a black candidate has often resulted in a first class appointment that would otherwise not have happened. I want us to stay in the EU. It needs reforming to reduce bureaucracy and we must take as many decisions as possible at national and local level but we are living in a world economy. If we don’t try and control it internationally it will control us, as it did in the 2008 crash that has given us 7 years of pain. Britain outside the EU would still wish to sell to the 700 million customers there. Our firms would therefore need to obey all the EU regulations without any say in making them. It is hard to think of anything more damaging to our national interest.